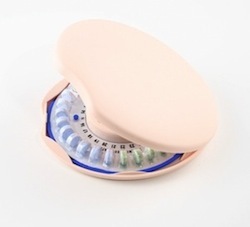 Birth control pills utilize hormones to regulate ovulation and therefore may change the menstrual cycle. After using one birth control prescription for a while your body adjusts to the hormones and you establish a more regular menstrual cycle. When changing to a new birth control pill, or even from a generic to name brand or vice versa, your menstrual cycle is likely to hiccup along the way. There is a good chance your period could be delayed or come sooner than expected. Some women even experience cessation of the menstruation for one or two cycles while the body adjusts.